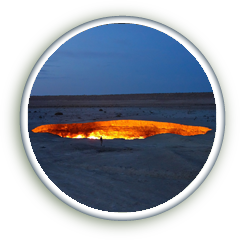 It is a gas fire in Turkmenistan accidentally inflamed by scientists in 1971 and still burning. 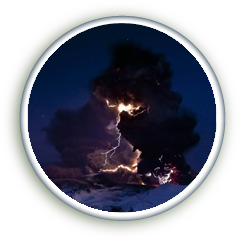 It is a weather phenomenon that is related to the production of lightning in a volcanic plume. 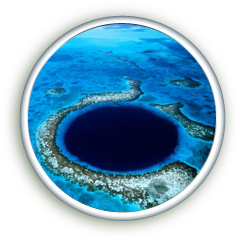 It is a large submarine sinkhole off the coast of Belize, over 300m across and 124m deep. 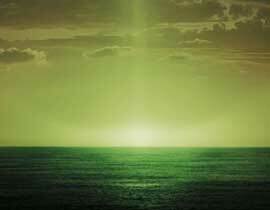 Green flashes and green rays, are a very rare optical phenomenon that occurs at sunrise or sunset, and shows a green dot on its top for several seconds. 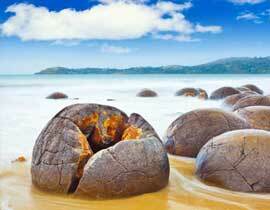 Fossilized dinosaur eggs, eel baskets turned to stone during a mythological shipwreck or an alien meteorite, The New Zealand Moeraki Boulders have long puzzled locals and tourists. Photography is able to fix, in a split second, an absolutely realistic image, with all the details of the moment and a unbelievable lighting atmosphere, that would be quite different a few minutes later. A good landscape photography is always unique and not reproducible. 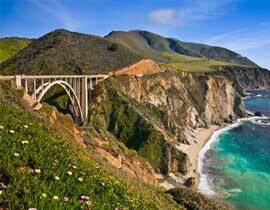 If it is really good, it can hardly be copied with a better shot! When you intensely care about beautiful cliches that can be admired in exhibitions, galleries or art works, photographing nature with a master's eye is the best shortcut for you to achieve what you're aiming for.